Oral or Dental Fibroma is the most common “Tumor” of the Oral cavity. It is not a true neoplasm but it is a reactive hyperplasia of fibrous connective tissue in response to local irritation or Trauma. Oral Fibroma should be diagnosed properly because certain benign and Malignant Neoplasms also mimic Fibromas in appearance. Hence before setting up a treatment plan it should be established if the present tumor is a benign and harmless Oral Fibroma or any malignant condition. There are many tests available like Biopsy and aspiration cytology which can help in providing a confirmation depending on the consistency of the tumor. It can also be established with the location of the tumor in the oral cavity. 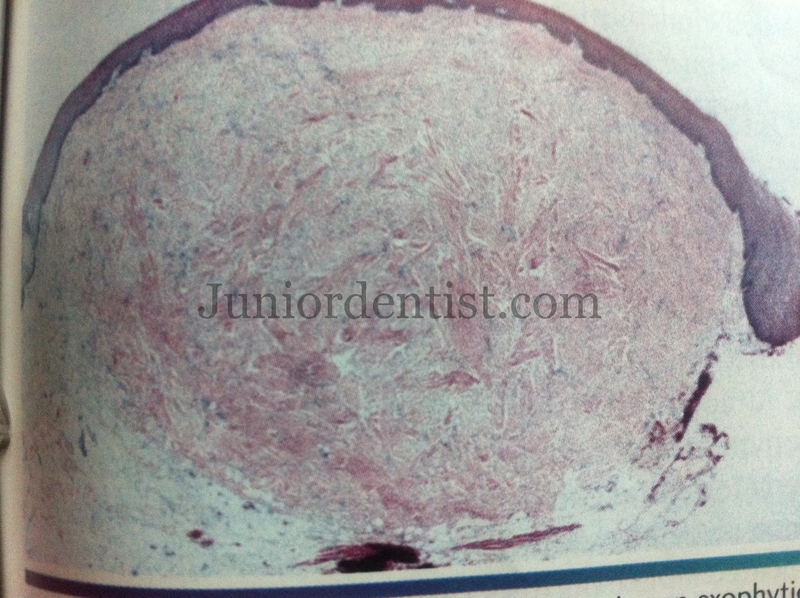 So let us look at the various clinical features and the histological features which help us in identifying the Oral Fibroma. Location: Most commonly in the Buccal Mucosa along Bite Line (can occur anywhere in the oral cavity) due to constant prolonged trauma from biting on the cheek. Labial mucosa, Tongue, and Gingiva are also common sites. Gingival Fibroma is the result of fibrous maturation of a pre existing pyogenic granuloma. 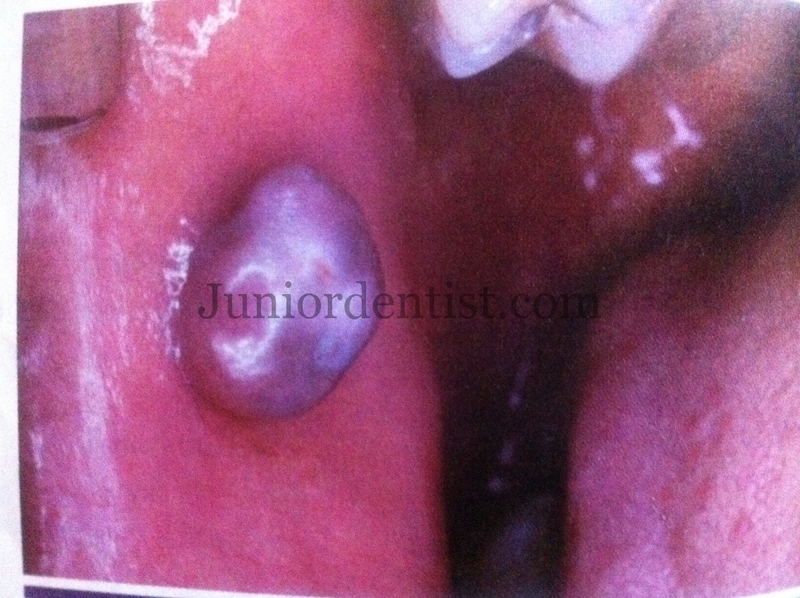 The lesion typically appears as a smooth surface pink nodule that is similar in color to the surrounding mucosa. Most Fibromas are “Sessile” some can be Pedunculated. Symptoms are not seen in normal fibromas unless they are ulcerated due to trauma of the surface. Age: Irritation Fibromas are more common in 4th to 6th decades of life. Excised tissue should be sent for Microscopic Examination to determine if it is a Fibroma or benign or Malignant Neoplasm.